Pintel’s power hitting and strong work ethic has helped Cherry Hill East to a 9–0 start in conference play in 2016. Sophomore Sarah Pintel has made huge strides in her second year with Cherry Hill High School East girls’ volleyball. In the season’s first month, Pintel has led the team with 59 kills and has been a force as an outside hitter. The Cherry Hill High School East girls volleyball team came sprinting out of the gate to start the 2016 season. The Cougars kicked off the year with a perfect 9–0 record in conference play and are hoping to make a run in November during the NJSIAA Group IV Tournament. This year’s starting lineup is senior heavy, but one underclassman has proven to be a key piece in the Cougars’ 2016 success. Sophomore Sarah Pintel has become a force at the net for the Cougars, leading the team with 59 kills and ranking second on the team with 11 blocks. Pintel credits a lot of her success to the help she receives from her teammates. When Pintel was a freshman in 2015, the Cherry Hill East upperclassmen helped her learn the game and get up to speed to compete on the varsity level. Pintel had played only one year of volleyball prior to joining the Cougars. Senior Kelly Babitz said many players in the Cherry Hill East volleyball program didn’t pick up the sport until just before or during high school. This makes it important for the seniors to nurture the young players. Senior Kat Koziol said the chemistry between the seniors and underclassmen have helped Cherry Hill East succeed in recent years. Pintel made an impression on her teammates right away. Senior Allyson Quay said Pintel’s positive attitude and strong work ethic allowed her to fit into the Cougars’ experienced lineup. Senior setter Megan O’Rourke said Pintel’s talent as an outside hitter gave a huge boost to the Cougars’ offense. One advantage Pintel has over the opposition is her height. Standing at 6-feet, 4-inches tall, Pintel’s height advantage gives her an edge on plays at the net. 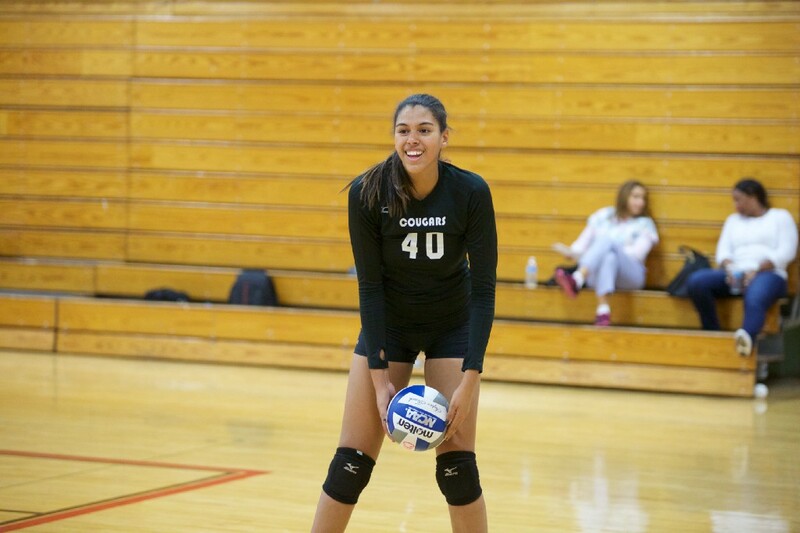 Despite having the talent to be a strong player at the net for the Cougars, Pintel entered her sophomore year looking to improve in a few areas. Pintel’s presence can be seen on the court and on the scoresheet. Last week in two matches against Gloucester County Institute of Technology and Eastern Regional High School, Pintel combined for 20 kills. Pintel said the Cougars’ success this season is a team effort. Cherry Hill East has only dropped two sets in conference play so far, and Pintel feels the team’s chemistry and work ethic is a big reason for its success.